Harrison’s Principles of Internal Medicine is one of the most highly regarded and widely read medical textbooks around. Because of its popularity, this book has been transformed into several digital versions. 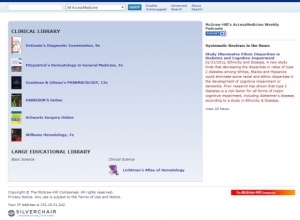 One of the most widely used is a web-based version powered by AccessMedicine, a web portal from McGraw-Hill. 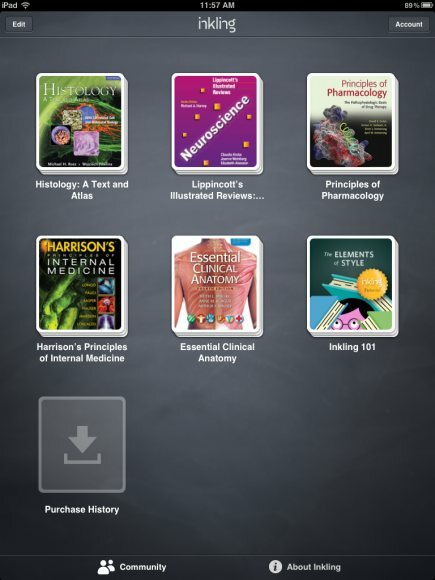 Many medical schools buy AccessMedicine for their students, so this is the form that students are most familiar with. But there are some new entrants to the arena that students should take note of. 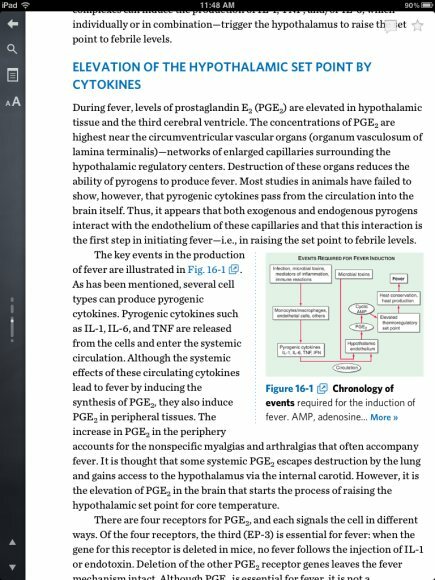 Recently, Inkling – an excellent textbook reader for iPad – unveiled its own version of Harrison’s, with all the interactive features that we’ve come to expect from Inkling’s titles. 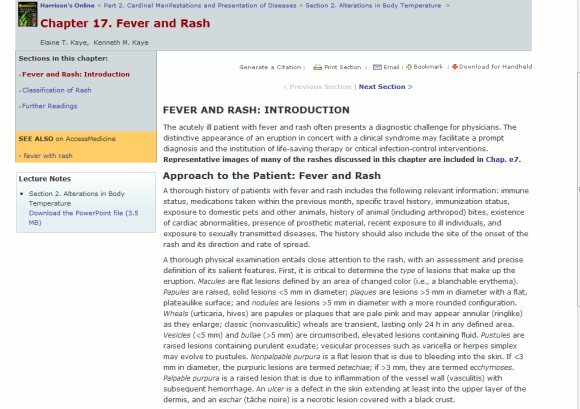 In this review, we will compare and contrast the online AccessMedicine (AM) version verse the dedicated app version of the textbook on the Inkling platform. Harrison’s on AM is web-based, thus one has to have an internet connection to retrieve the content. Inkling, on the other hand, downloads the text to the iPad itself, allowing offline viewing. The layout on AM is a series of web pages organized through hyperlinks. Significantly, AM does not allow viewing of full chapters in their entirety. 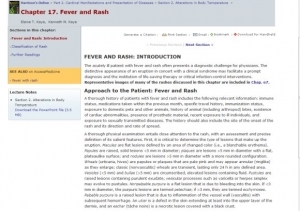 Each chapter is divided into sections, and one can only view one section at a time. This restriction was put in place for all AM titles in order to prevent piracy. Unfortunately, it makes using the material on AM more cumbersome. 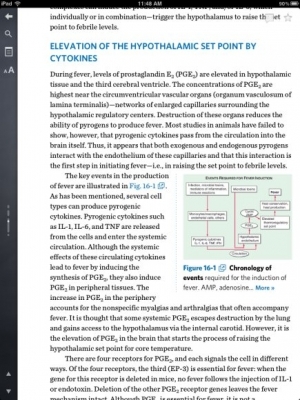 Inkling, on the other hand, allows users to view the entire chapter at once, allowing seamless scrolling from beginning to end. AM’s version of Harrison’s integrates thumbnails of figures within the text that need to be expanded in a separate pop-up window in order to view them. Inkling has nearly full size images integrated in the text that can be expanded but don’t necessarily need to be. The same difference is seen with tables as well. You have an error in your review about the searching Harrison’s through AM. You absolutely can just search Harrison’s online only. 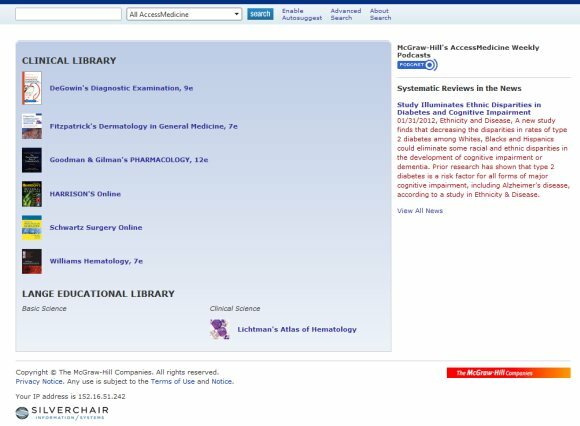 If you use the search box at the top of the page, the default is All AccessMedicine, but you failed to just pull down the arrow to search only Harrisons Online. This is an unfortunate error. The arrow on the search box is common knowledge in the web world that it is a pull down menu. And if you had clicked on it you would have noticed you get the option to search Harrison’s only or other titles on AM. Thanks for the comments. You rightly noted that there is a selective search for Harrison’s for AM. When I was testing Harrison’s on AM, I used the advanced search box and then selected Harrison’s. Despite that, I still got back results for all of AM (see the image in the article). This has happened to me a couple of times before. I figured it was a glitch because the selective search is clearly an option. The same thing happened to me with the dropdown menu. After your comments, I went back and tried again and the selective search did work for me. So I’ve updated the post. I don’t want to propagate incorrect information. Rather than saying that AM doesn’t have a selective search, I should have mentioned the dysfunction. I’ve also updated the post to reflect what Tracey (below) said about the updates. I have yet to be notified about the updated content on my Inkling app, but it may be happening in the background. Regardless, the so-called e-chapters are on the Inkling app. The only thing that’s different between AM and Inkling at the moment is the powerpoint slides. Keep the comments coming if you see anything else. I appreciate the feedback. Great review. I just wanted to point out something regarding updates on Inkling. To clarify, because Inkling has Harrison’s as software, they are actually able to update it on the fly too. This was demoed by their CEO’s at the Tools of Change presentation last week: http://www.youtube.com/watch?v=z5bborgjHF4. As a result, Inkling users do not have to wait for the next edition of texts to be published, and publishers can already today push updates or corrections as they see fit.